A unique set of mounted baseball cards representing 142 Jewish Major League players. An extensive collection of rare, documented items relating to Morris “Moe” Berg, a Major League catcher who worked as a spy for the OSS (Office of Strategic Services) and the CIA during and after WWII. An acquaintance of Albert Einstein, Berg was a Princeton graduate whose 1934 films of Tokyo reportedly were viewed by military intelligence prior to the historic 1942 Doolittle air raid on Japan. Included in the Matthews collection is a 1923 yearbook from Berg’s days at Princeton; his handwritten 1934 income tax return; Berg’s WWII ration card; his only published article (in the Atlantic Monthly); a check signed by Berg; books from Berg’s private library; and declassified Top Secret documents. 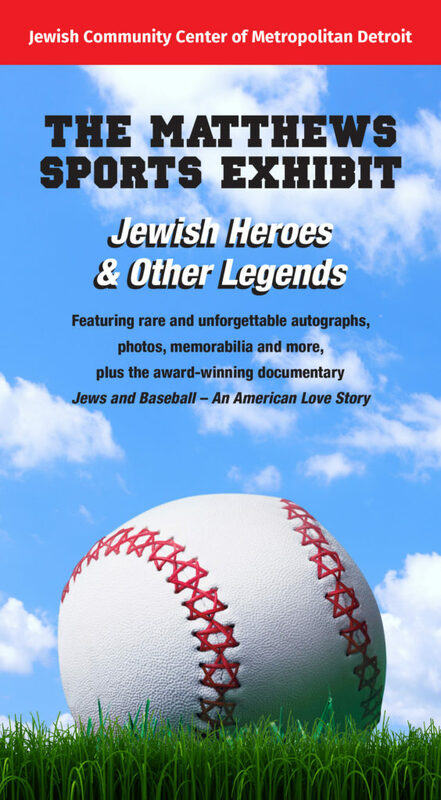 An original work of art, depicting 26 current and former Jewish baseball players that includes autographs and personal inscriptions. An autographed copy of the 1948 first edition of Babe Ruth’s autobiography. A 1953 Lafayette High School yearbook with Sandy Koufax’s signature and notes. Two kippot signed by Sandy Koufax, from only a handful of such items known to exist. The kippot were to be given as awards to students at a Jewish religious school. Baseballs, a bat, a first baseman’s glove and a 1927 James Monroe High School yearbook signed by Tigers legend Hank (born Hyman) Greenberg. Miguel Cabrera’s signed baseballs, bats and batting helmet. A program and ticket from the first Super Bowl (1967). A football helmet signed by the 1972 Miami Dolphins, the only National Football League team to complete a perfect (17-0) season, including winning the Super Bowl. A check signed by legendary Green Bay Packers coach Vince Lombardi.